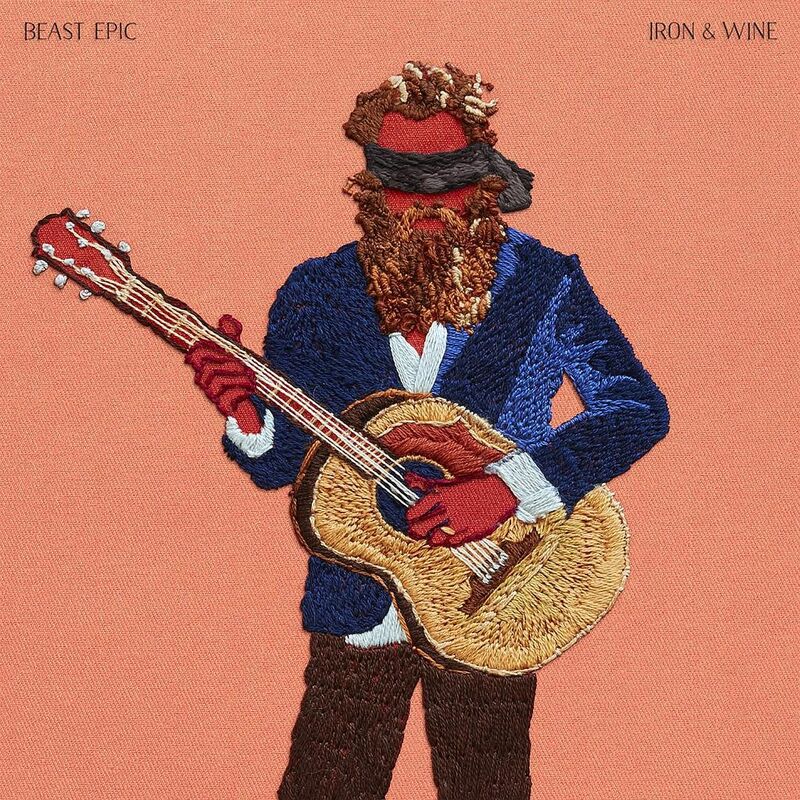 Here's a rhetorical question: In an info-overload era of bombast and baloney, what can be more soothing than the pellucid wisdom of Sam Beam, aka Iron & Wine? The South Carolina songsmith's gentle purr remains a beacon of truth, even as his sonic setting has ventured far from the rustic, folksy roots of his early albums, The Creek Drank The Cradle (2002) and Our Endless Numbered Days (2004), into a full-blown, pop-rock milieu with Ghost On Ghost (2013). That is why the intimate tapping of his acoustic guitar and one or two perceptible heaves of breath that begin his sixth record Beast Epic feel note-perfect - a welcome return to the kith and hearth of communion. Calling it a paean "to the beauty and pain of growing up after you've grown up", this song cycle is an autumnal recollection of life consolidated and patiently dissected. "Our winter keeps running us down/We wake up with love hanging on/Killers let go, killers let go," he exhorts in Claim Your Ghost, a song which works just as well as an alternative theme for fans of snowbitten series Game Of Thrones as a metaphor for the real-life cultural war fought all over the world between the left and the right. Meanwhile, time and ageing cast a pall on the proceedings and illuminate a realisation that people take one another for granted. "I kept reading hidden meanings/You would rage how I was wrong," he sings in Bitter Truth without a shred of bitterness, buoyed on swelling harmonies and a sturdy, mid-tempo drum beat that soldiers on, in life or death. He picks apart bruises fresh and dried up, damages inflicted and accounted for, as he comes to terms with the fact that "nothing makes silence like experience". He follows the song with Song In Stone, a counterpoint in love and conciliation, an ode to nature transcending human pettiness. Over mellifluous strumming and ivory tinkering, he rhapsodises: "Birds of the morning, they may know/ Know more than us, giving their hymns for life." Summer Clouds follows, a ballad infused with languid riffs and topped off with a vivid line: "You raised your glass and the scars fell off my heart." Such beatification is espied everywhere, if only people pause and reflect. "Cause the sun isn't only sinking fast/Every moon and our bodies make shining glass," sings Beam in the heart-stoppingly beautiful single Call It Dreaming, a reminder of mortality and what truly counts at the end. "Where the time of our lives is all we have/And we get a chance to say/Before we ease away/For all the love you've left behind/You can have mine," goes the chorus, over a lovely braiding of strings and percussion and the softest, manliest voice you'd ever hear. It's such feathery harmonising - all stars aligned and everything is all right for these few minutes - that distinguishes Beam's exquisite songs of innocence and, yes, experience, and lets life unfurl in its luminous rays.